4D immersive is an award winning company specialising in the creation of immersive experiences, through creativity, design, leading technology and above all passion. 25 years experience across both theatre, design, educational and healthcare sectors have provided us with the knowledge to create remarkable immersive experiences, using space, projection, light and sound. 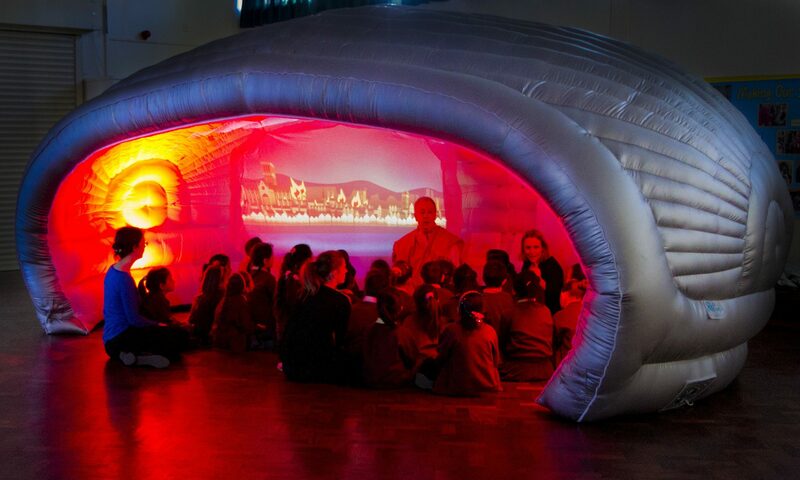 Though established in 2009, 4D’s journey started back in 2008, when the founders were commissioned to create a permanent immersive space for Springwood Heath Primary School in Liverpool. So impressed with the space, a visiting headteacher quickly commissioned one for her own school, and soon word spread and more enquires came in from across the North West. By August 2009 it was clear that demand for this unique way of learning required more people to join to the team and 4D was created. From acute assessment wards for people living with dementia to children’s hospitals to social care settings, the immersive experiences are improving quality of life and creating a sense of wellbeing and calm. Develop and sustain a sense of wellbeing and relaxation. Improve the quality of life by promoting positive health and wellbeing.